You’ve been in business for almost one year, and now it’s time to renew your domain name. Your website looks fantastic and it’s helping to build your business, but you’re not completely satisfied with your web hosting provider. As you search for the best web hosting company for your needs, you find one that requires you to transfer your domain name registration as well for a small fee. Is transferring the domain registration really necessary – or is this just a trick? Here are the facts. You are required to keep a current registration of your domain name, and typically you will spend between $8 and $15 each year to do so. Once you have paid the fee, that domain name is yours for the entire contract period. It’s yours to use and no one else can have it. But is it required to have your domain registered with the same company as your web hosting? 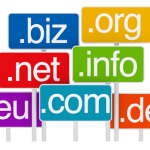 Some hosting providers like GlowHost will help you register a domain name, however it is not required to host and register with the same company. So why would you transfer? The potential for cost savings and having everything under one roof are the two greatest benefits of transferring your domain name to your host. If you are transferring your web hosting service, you can also transfer your domain registration to keep both with the same company. It’s easier to have only one company to deal with if you have problems. It’s also one less username and password to remember in order to manage your account. Many companies offer free or discounted registration for one year if you also host with them. It could save you some money to transfer the registration. While there are benefits to transferring your domain registration, there are also some drawbacks. Some hassle and cost is associated with domaintransfers. Let’s face it, transferring anything is a hassle. It can take 5-10 days to transfer the registration to another company, several phone calls or emails between both companies. It may be easier just to renew a registration with the same company than to transfer to another. What’s the opportunity cost? Either you or one of your employees must take time to process the transfer. Could that time be better utilized elsewhere, such as generating sales leads or creating new valuable content for your website? Consider if the time required to transfer the registration is worth the few bucks you’ll save. It’s important to carefully compare the pros and cons of transferring your registration to another hosting provider. It’s equally important to research thoroughly the company you’re considering. Good practice is to evaluate the customer service policies and reputation of the company you’re considering. Will they respond to you in a timely manner and provide you the service they have promised? Make sure the domain is registered in your name and not the hosting company’s name. Some companies may register the domain in their own name and then charge you a fee to “lease” it. But if you decide to change providers, they may charge you a small fortune to purchase the domain from them. So be safe and register your domain in your name. Be sure to check the pricing carefully. It shouldn’t cost more to transfer a domain name than it does to register a new one. Beware of companies that do not publish this information clearly. GlowHost can help you with the transfer process and make it easy for you. With GlowHost, you own the domain 100% and can even transfer it any time you like. We offer competitive prices and excellent customer service for web hosting and more. We’ll help you with all your small business web hosting needs.